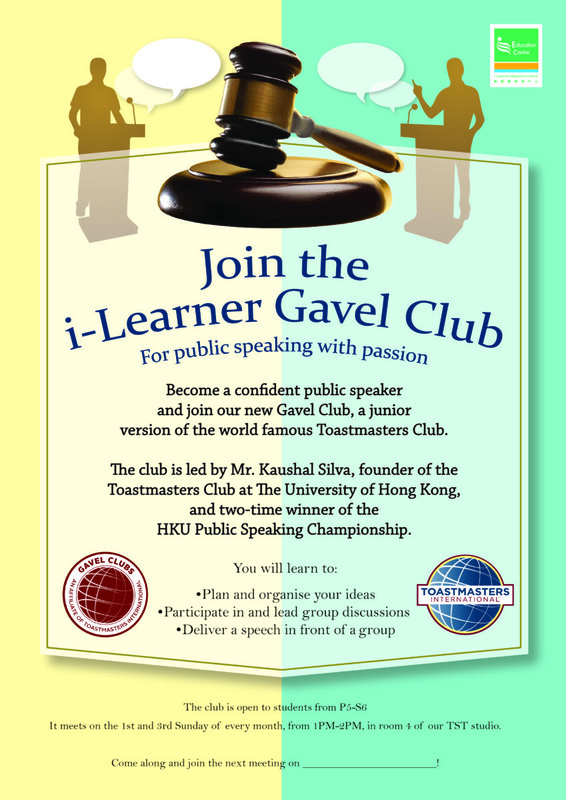 Join the i-learner Gavel Club for public speaking with passion. Become a confident public speaker and join our new Gavel Club, a junior version of the world famous Toastmasters Club. The club is led by Mr. Kaushal Silva, founder of the Toastmasters Club at the University of Hong Kong, and two-time winner of the HKU Public Speaking Championship. It meets on the 1st and 3rd Sunday of every month, from 1PM – 2PM, in room 4 of our TST studio.